The World Health Organization (WHO) took the fairly radical step of recommending cannabis be removed from the list of most dangerous drugs. Some see it as a move towards accepting cannabis legalization. Currently, WHO lists cannabis as a Schedule IV drug, putting it on the same level as drugs such as heroin. Some also see the move as a sign that WHO is getting ready to accept that medical cannabis has health benefits. Now that WHO has announced its intentions, the proposal will go to the UN’s Commission on Narcotic Drugs. Fifty-three member nations will then have the opportunity to review the proposal, and ultimately vote to accept or reject. However, even if the recommendations are accepted, technically Canada will still be in contravention of the treaty. WHO calls to reschedule cannabis as a Schedule I drug, so any country that legalizes cannabis would be in violation. According to Bloomberg (please follow the link below), it is not clear how the US will vote. The country seems to be on its own path to cannabis legalization, and many states have legalized cannabis for medical use and even recreational use. However, the US Food and Drug Administration (FDA) determined that CBD, a compound found in cannabis, shouldn’t be federally controlled, other than its international obligations. Indeed, even companies like Neiman Marcus are opening selling CBD-based beauty products on store shelves. 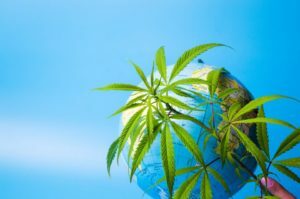 “If treaty obligations do not require control of CBD, or if the international controls on CBD change in the future, this recommendation will need to be promptly revisited,” the FDA wrote. That’s not quite a call for cannabis legalization in the United States, but it’s close.